Our Chief Operating Officer, Michael Brett, today launched Aerospace Concepts’ presence in the United States where he will lead the company’s engagement with US partners and customers in tackling the challenges of complex systems in a range of industry sectors. 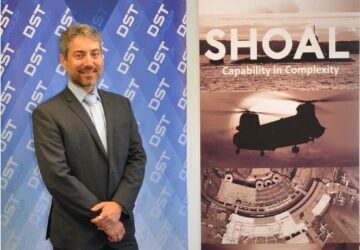 Michael’s presence in the United States is part of a larger company strategy to expand our systems engineering practice well beyond our defence and Australia-centric client base. We will be offering our capabilities in large-scale Model-Based Systems Engineering (MBSE) and probabilistic risk analysis to a range of industry sectors including defence, space and emergency services in the United States and elsewhere. Michael will be embedded with one of Aerospace Concepts’ long-term partners, The Tauri Group, based near Washington, DC where he will work with the space team to bolster their systems engineering, complex project management and business strategy capabilities.